The Deceptive Starter Base is a strong and expandable RUST base design, created by our partner xRaw. Starter bases allow players to build a smaller footprint base, without having to overextend their resources early on. 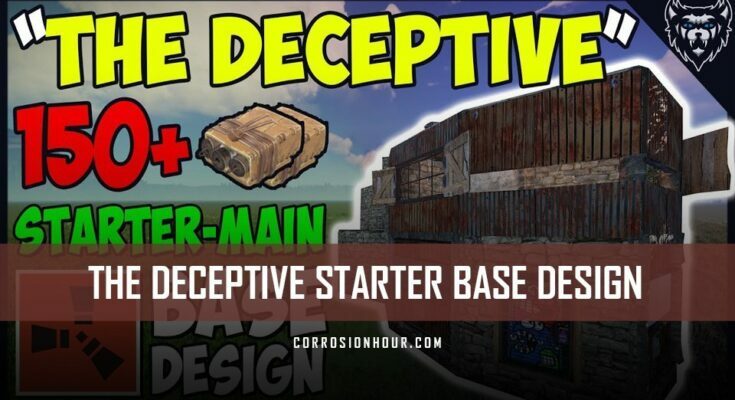 The Deceptive starter base is designed in such a way that the base’s original build design can “continue” being built at a later point. All the while, the base remains functional and contains the necessary elements to function. 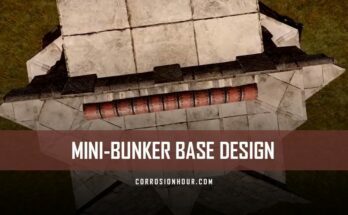 This base design highlights some of the more advanced tips and tricks of RUST base building. 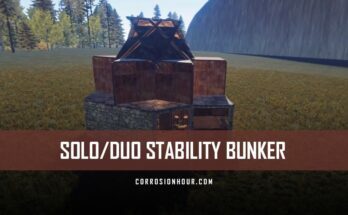 Inside the Deceptive Starter, includes features such as a hard-to-raid tool cupboard and extensive loot rooms, well-positioned trap areas, defensive gun floors, and vast external visibility. The roof is also accessible for a quick escape, general base defense and can be built upon as a helicopter tower. Coming into the base here we have just a few garage doors to open up this area. If you jump up on the furnace and up into the second floor there’s then two windows with window bars as well as the shooting slips in the middle here to shoot out of. If you continue up and around the side here there’s then roof access you can put boxes or build a heli tower if you want to. So coming into here is the core of your base, there’s two sleeping bags, two furnaces, shotgun traps as well as four boxes on each side. If you go through the single door here, this is then your starter base. There’s lots of boxes and furnaces as well as your work bench and a hard-to-raid tool cupboard. If you continue up and around this side you get to the next floor. I do currently have a 20 pound steam card giveaway which ends on the 14th of October so be sure to jump on that. Jumping on to the small box here, there’s a second to first floor view port, which is a good raid defense mechanic.